The original house dates from the early 17th century, with the orangery added in about 1700. In 1754 it was bought by William Murray, 1st Earl of Mansfield. He commissioned Robert Adam to remodel it from 1764-1779. 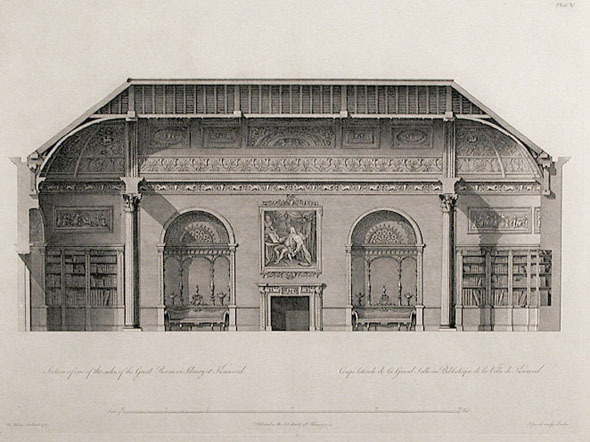 Adam added the library to balance the orangery, and added the Ionic portico at the entrance. It was donated to the nation by Lord Iveagh, a member of the Guinness family, when he died in 1927, and opened to the public in 1928. He had bought the house from the Mansfield family in 1925, minus its furnishings. The house was the subject of a London Underground poster in the 1930s.